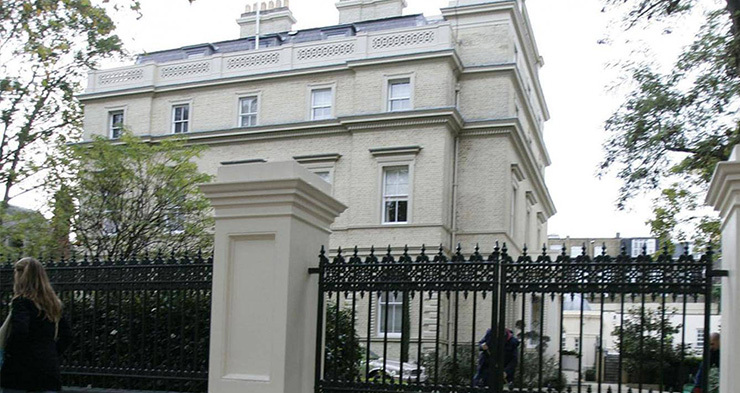 New powers are being used to investigate whether British properties worth £22m were paid for legally by an unnamed “politically exposed person”. They are believed to be “ultimately owned” by a politically exposed person – a term used to describe people with prominent positions in public life who are vulnerable to bribery and corruption. The NCA said it could not name the person being investigated, as they are given time to respond to the orders’ demand for information and documents. “Unexplained wealth orders have the potential to significantly reduce the appeal of the UK as a destination for illicit income,” said Donald Toon, director for economic crime at the NCA. “They enable the UK to more effectively target the problem of money laundering through prime real estate in London and elsewhere. The measure was dubbed the “McMafia law” after the BBC television drama, based on a factual book of the same name, which centred on money laundering and international organised crime. After the High Court issues an order, the respondent is required to explain the extent of their interest in the specified property and how it was obtained – shifting the burden of proof from investigators to suspects. Providing false or misleading information in response can also be punished with up to two years’ imprisonment. Rachel Davies Teka, the group’s head of advocacy, said: “This landmark moment is a positive statement of intent from law enforcement and sends a clear message to those seeking to launder corrupt wealth through the UK that their assets will no longer be safe here.